This 2 bedroom apartment is located in Miami Area and sleeps 9 people. It has WiFi, parking nearby and air conditioning. 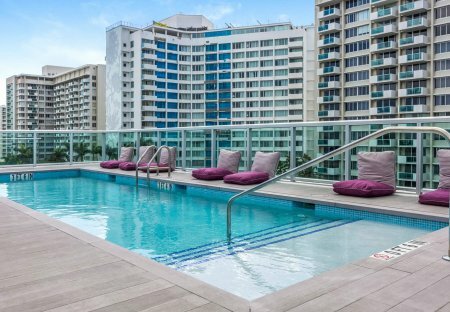 This 2 bedroom apartment with swimming pool is located in Miami and sleeps 6 people. It has WiFi, garage and parking nearby. Contemporary Two bedroom Spacious Home in Central Location. This 2 bedroom apartment is located in Miami Area and sleeps 8 people. It has WiFi, parking nearby and air conditioning. Honeytrail is a gorgeous property in the heart of vibrant Miami Circa 1940s. Featuring a 4 bedroom house. Close to Wynwood, Miami's design district and Midtown. Restaurants, Shopping, Art galleries. This 2 bedroom apartment is located in Miami and sleeps 6 people. It has WiFi, garage and parking nearby. This 5 bedroom villa with swimming pool is located in Miami and sleeps 16 people. It has WiFi, garage and parking nearby. 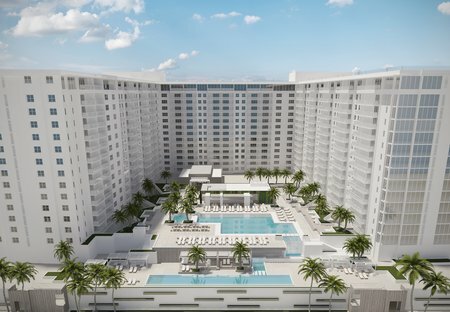 This 1 bedroom apartment with swimming pool is located in Miami and sleeps 4 people. It has WiFi, garage and parking nearby.